Who is Dave Tobin and does he really know cars? Dave Tobin operates Tobin Motor Works, LLC in Horseheads, NY. Just a few miles south of Watkins Glen, NY and Watkins Glen International Raceway. Tobin Motor Works is a specialty car dealership offering sales, consignment and brokerage services for enthusiast and collector cars of all types, especially Mercedes-Benz and other European marques. At Tobin Motor Works Dave also offers sales consulting, marketing, appraisals and auction representation of collectible automobiles. He specializes in buying and selling interesting, rare classic and collector cars for clients world wide. Tobin Motor Works is located at 564 Route 13, Horseheads, NY 14845. From 2013 – 2017 Dave was a Contributing Editor and then Editor in Chief at the “SL Market Letter.” During that time Dave paid especially close attention to the collectible Mercedes-Benz market and has reported extensively on it, however Dave’s automotive interest and expertise doesn’t stop with Mercedes. The September / October 2016 issue of the Mercedes-Benz Club of America featured an article about the 2016 Walleye 1000 Vintage Rally (click to see the article as a pdf). Dave is the founder of the Walleye 1000 Vintage Rally – a two day, +/- 500 mile drive over the twisty back roads of Minnesota and Wisconsin along the Mississippi River. The Walleye 1000 has been an annual event since its inception in 2012. Open to interesting sports and GT cars 20 years old and older, it draws all kinds of cars and people from around the region and the country. 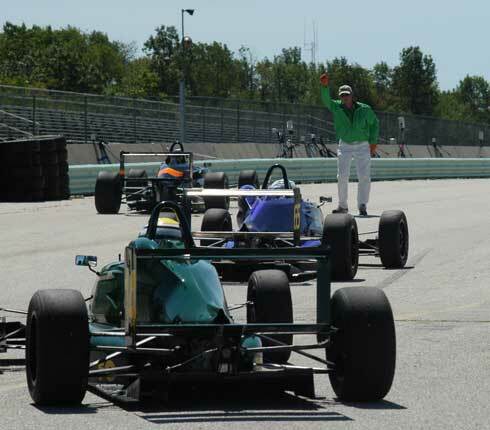 Dave has been an SCCA course worker at Road America and other tracks around the mid-west for more than 15 years. Dave has been a member of the Sports Car Club of America for about 15 years and a member of the Porsche Club of America since 2013. “My love of all things automotive was passed on to me by my father.” He has always loved European cars. From the innovative designs that made a mark on automotive history that show up in modern art museums and on the Concours field, all the way down to more common cars you see out and about on beautiful spring days. Growing up, there was always a British sports car or two in various stages of completion in our garage. Car books and magazines littered shelves and coffee tables around the house, we had a full collection of Automobile Quarterly, one would arrive in the mail, well, quarterly, until they stop publishing in the early 2000s. As you can see in this photo I grew up with a Dion Pears oil painting of an Alfa Romeo racing at Le Mans in 1931 hanging in our living room. Since this photo was taken it’s been framed, my folks have moved several times over the years, yet it still hangs over the mantle in their current home. My mother is clearly a saint to put up with such automotive nonsense, but secretly she’s been a willing participant for years. Even before my parents were married! 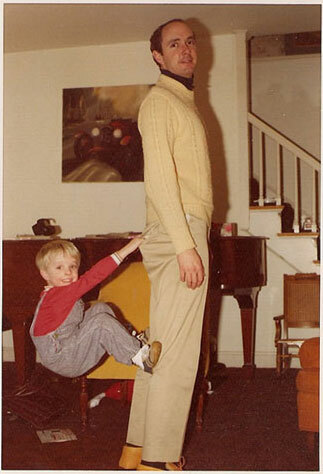 In fact, she found my father one of his first sports cars. She saw an ad on a bulletin board at the University of Cincinnati in the late sixties for a 1959 Morgan +4 Drop head Coupé, just $600. She took the ad off the bulletin board so no one else could see it, took it to my dad, and he bought the car. Growing up, there was always some car adventure to go on… whether tracking down a car for sale in the ‘Tradin’ Post” (Long before Craigslist!) or attending IMSA Camel GT races at Mid-Ohio Sportscar Course… cars were a big part of our lives. 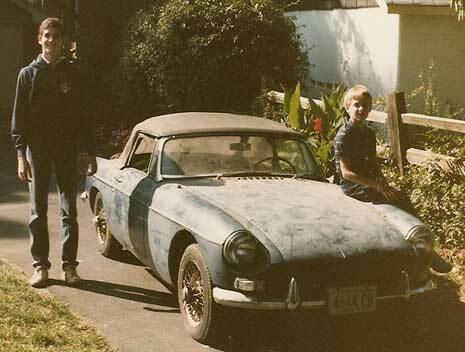 Dave Tobin, and his brother Sean with a derelict 1967 MG B their father pulled out of a garage in Terrace Park, OH, circa 1985.